Cortisol, a hormone produced by the adrenal gland, plays an important role in regulating cardiovascular function and fat, protein, and carbohydrate utilization. During stressful situations it is common to temporarily struggle with mental functioning. Stress causes the adrenal glands to secrete an excess of cortisol‚ which may cause the breakdown of muscle proteins and the release of certain amino acids that can be converted into glucose by gluconeogenesis. The resulting increased glucose levels in the body combined with decreased glucose use in other tissues ensures that the brain receives adequate energy. Although cortisol secretion is an important part of the body’s response to stress, the prolonged secretion of cortisol can lead to improper functioning of the cardiovascular‚ immune‚ metabolic‚ and neurologic systems. • Vitamin B1, which may strengthen the immune system and help your body withstand stressful conditions. • Vitamin B2, which plays an important role in growth and red blood cell production. • Niacinamide, a form of vitamin B-3 that can help treat a variety of conditions. • Vitamin B6, which helps convert the carbohydrates in your diet into glucose. 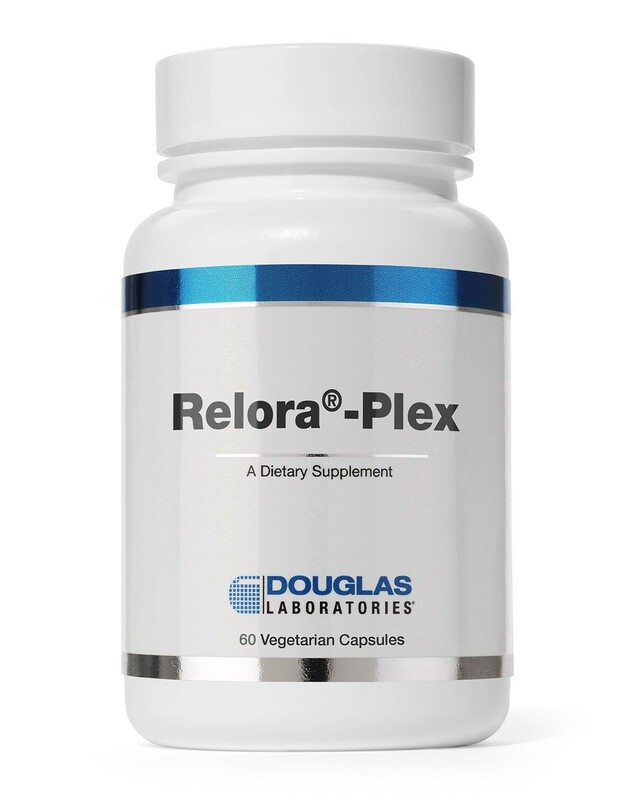 • Vitamin B12, which is necessary for red blood cell production and maintaining a healthy nervous system. 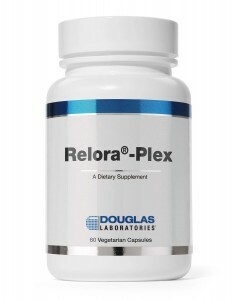 One bottle of Relora-Plex by Douglas Labs contains 60 capsules‚ which is a one-month supply when taken as directed. Adults should take two capsules daily or as directed by a healthcare professional. This product contains NO yeast, wheat gluten, soy protein, milk/dairy, sodium, sugar, artificial coloring, preservatives, or flavorings. Consult a physician before use if you are pregnant or breastfeeding, or if you are taking any prescription medications. Excessive consumption may impair your ability to drive or operate heavy machinery. Not recommended for use with alcoholic beverages. Keep in a cool dry place for optimal storage.